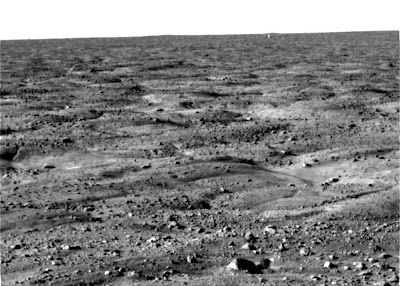 The NASA's Mars Phoenix Lander made a safe touchdown on the surface of Mars yesterday and started sending back photos soon after. 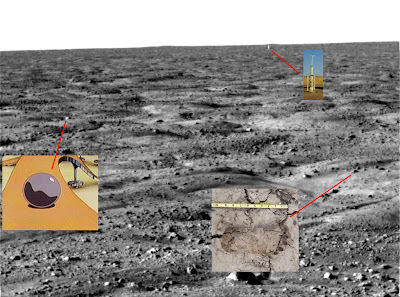 I wanted to be the first scientist* to examine the photo for signs of alien life. And here is an untouched photo with high resolution zoom-ins on the found objects.